When you’re toting yourself and your family around the Indianapolis area, you need a car with plenty of space, reliable safety features, and style to boot. Both the 2018 Sienna and 2018 Sedona check these boxes, but which does it better for Avon and Plainfield drivers? To help you decide which minivan is most suited to your needs, Andy Mohr Toyota created this Toyota Sienna vs Kia Sedona comparison on the points of powertrain, safety, and interior comforts. Neither the Toyota Sienna nor the Kia Sedona skimp on what they offer under the hood. The Kia Sedona features a standard 3.3L V6 engine that generates 276 horsepower and 248 lb-ft of torque. 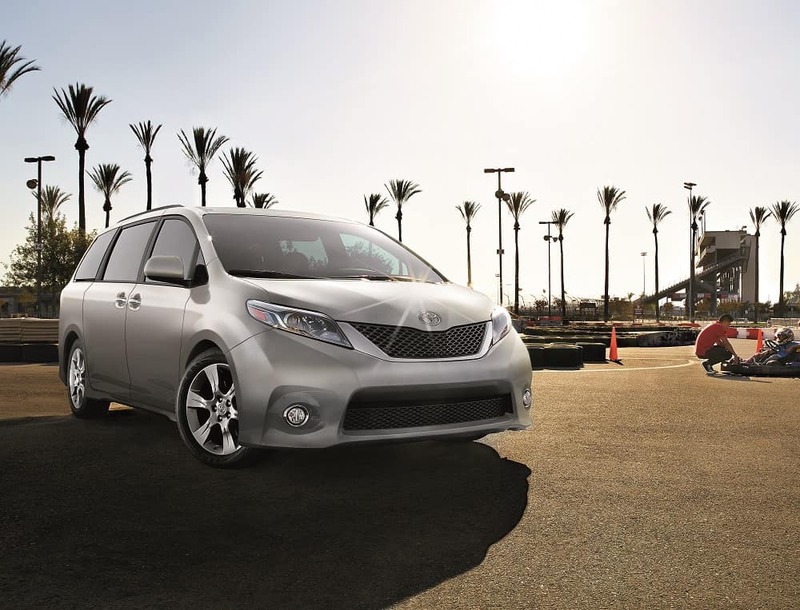 The standard engine in the Sienna, however, is a 3.5L V6 engine that produces 296 horsepower and 263 lb-ft of torque. In addition to its more powerful engine, the Sienna also gets an EPA-estimated 19 MPG city and 27 MPG highway fuel economy.1 The Sedona, unfortunately, comes in with an EPA-estimated fuel economy of 18 MPG city and 24 MPG highway. On those frigid winter mornings, the 2018 Toyota Sienna puts its increased torque to good use with the available all-wheel drive (AWD) with activated torque control. The Sedona doesn’t offer AWD, leaving drivers with less traction when it snows. To keep everyone safe during the morning commute to work or school, both the Sienna and Sedona offer an available suite of collision mitigation systems. These systems include a forward collision system that informs you of a potential forward collision and applies the brakes autonomously if necessary. They also both offer a lane departure warning system that automatically steers you back on course if you begin to drift from your lane of travel. 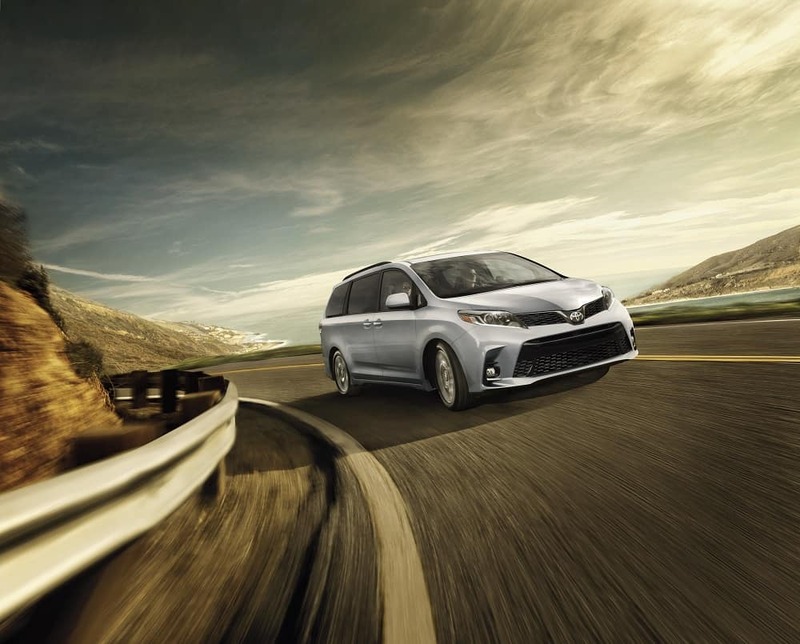 The difference is that the Sienna makes these features in its Toyota Safety Sense™ suite standard with all trim levels, whereas Sedona drivers would have to upgrade to a higher trim level before gaining access to this kind of safety. When you have a lot of precious cargo, you need a spacious area that’s up for the challenge, and both the Sienna and Sedona provide. With both back rows folded down, the Sedona offers 142 cubic feet of cargo area. The Toyota Sienna, however, opens up to 150 cubic feet. So, if you’re going to pack heavy, the Sienna may be your preferred vehicle. Each of these minivans also includes infotainment features to keep the front seat connected and entertained, like Bluetooth® smartphone connectivity and available Apple CarPlay™ or Android Auto™ for music streaming. The Sienna extends this experience to the back seat with an available Dual-View Blu-ray Disc™ Entertainment Center. This includes a 16.4-inch color display, 120V AC power outlets, and wireless headphones to keep everyone occupied during long car rides. Passengers in the Sedona don’t have this kind of entertainment center available so are left to keep themselves entertained during road trips. After comparing the 2018 Toyota Sienna vs Kia Sedona, the Sienna came out ahead as having more to offer Indianapolis area drivers. If you’re in the Plainfield or Avon area, contact Andy Mohr Toyota to schedule your test drive of the 2018 Toyota Sienna today. 12018 EPA-estimated 19 city/27 highway/22 combined mpg for Sienna FWD. Actual mileage will vary.